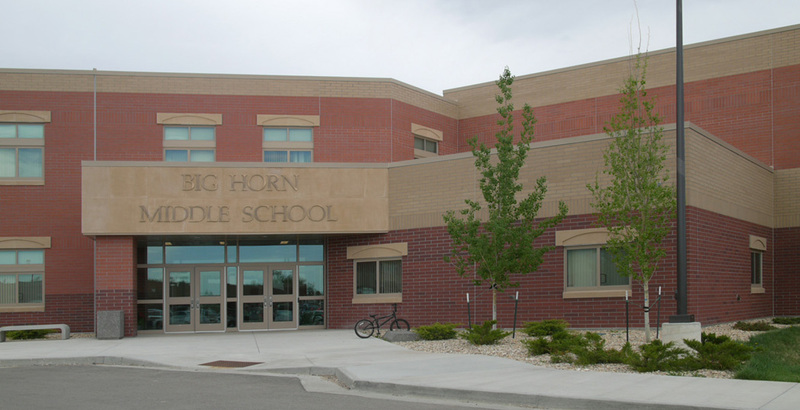 The Big Horn Middle School/ High School is, at 115,000 SF, the largest of a number of buildings Malone Belton Abel designed after completing the overall School Master Plan for the Big Horn school community. The new school replaces the 1950’s building, which remained in use during construction. Our firm provided complete master planning, architectural, structural engineering, and interior design services for the $25.4 project. The combined High School/ Middle School, for grades 6-12, accommodates the particular program desired by the School District administration. 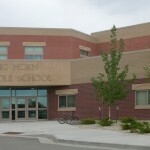 Middle School classrooms are on the first floor with Gym and Entry on the north end; High School classrooms are on the second floor with Gym and Entry on the south end. The arrangement allows for appropriate but not excessive interaction between the different age groups in the 270-student body. 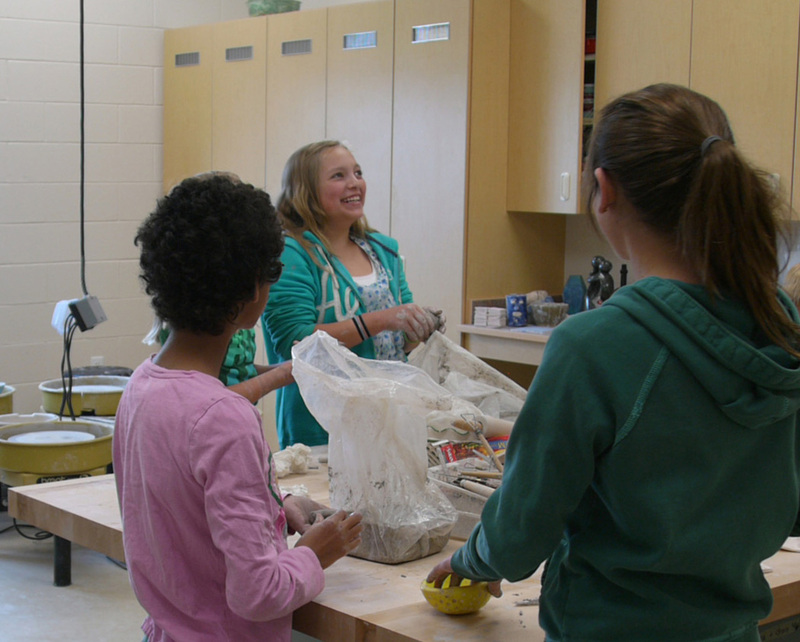 We designed the facility so that most classrooms can be re-purposed as the needs of the district change over the years. 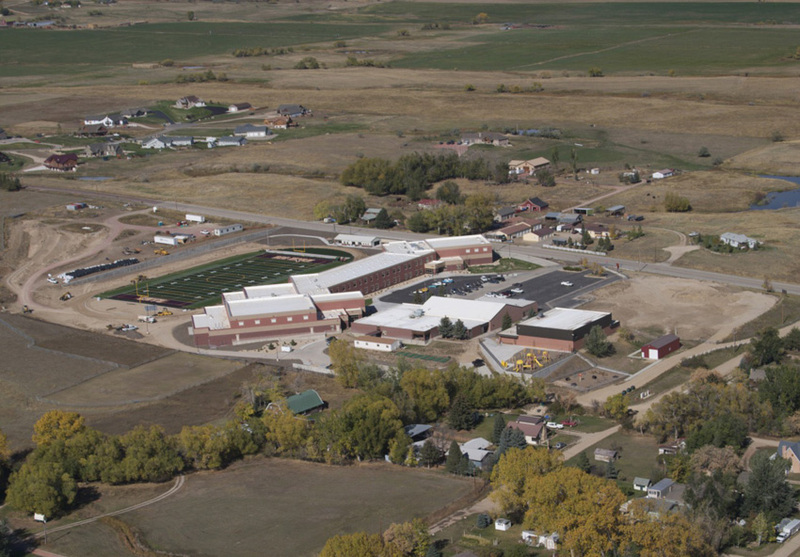 The site design had usually tight constraints because the 40-acre site normally required for a K-12 campus was reduced to the 17-acre site of the existing school. The area available for the new school was further limited by the space occupied by the old school, which had to remain in use until the new building was ready. 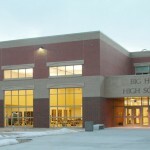 The school was completed in time for the fall opening of the 2010 school year.